FACILIDADE: Média a Fácil. Vocabulário e texto pensado para "young adults" entre 9 e 13 anos, principalmente. COMPRA: Amazon em Paperback, Kindle Edition e no Book Depository. 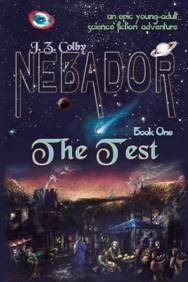 Nebador é uma série que, quando li o primeiro livro, resenhado abaixo, não me apaixonei. Gostei, mas não achei grande coisa. Ganhei em um sorteio, era bom 'o suficiente'. Mas o autor se dispôs a me ceder cópias dos outros 2 livros até então publicados e me apaixonei pela série. 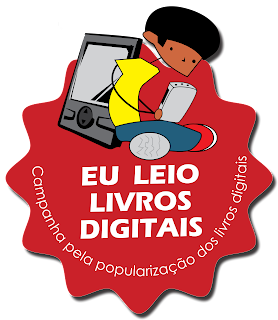 Hoje, aguardo ansiosamente a publicação do livro #6. Se quiserem ler mais sobre a série, tenho as resenhas dos outros livros no meu blog Brazilian Bookworm, mas acho que não é interessante para o Ebook Brasil pois pouquíssimas pessoas aqui lerão o livro 1 e prefiro não publicar spoilers. É uma série pensada para jovens adultos, tem uma linguagem simples e mostra uma evolução de personagens magnífica. Eles saem de um reino medieval para conquistar as estrelas e nós vemos toda essa evolução, é lindo. Como diz o autor, é uma série para quem gosta de aprender. I won this book on Goodreads First Reads program. Ilika is a captain in need of a crew. He was sent to this place, this world, to find his crew. He's not from here, probably from another planet, although we are never really told where he is from. This is a semi-medieval world, where there are slaves and horses and all. Ilika tries to find young people who want and are willing to learn, who also would like to travel far away. He seeks for them among the educated and the smart, but they all are a "kind" of smart he doesn't actually want... So the solution comes up, in a conversation with the baker: slaves. He needs people who are willing to fight for their survival and yet, are free thinkers and are eager to learn and take whatever they can, also improving their lives. After a while paying for people to hunt down the proper kind of slaves for him, the ones that seem to question or to be uneasy for the slave-like work, he decides that he can't possibly take them all or without some sort of knowledge and inclination and decides that they must pass a test, both of logical thinking and personality, so he can get to know them and choose the ones that will fit best what he needs. The tests were entertaining, I tried to solve them myself and it wasn't easy but it wasn't hard either, logically, we are all much more educated than the poor slaves, so it has to be easier for us. The personality tests obviously got no right answer, but then again, they're not meant to have. Ilika eventually chooses some students, but's more than he can take or even needs to take on his ship, so he decides to take them all, teach them and then choose the most fit ones to his ship crew, the others, he would give enough gold and knowledge as for them to be able to live a very comfortable life. The positive points, though, are much more interesting than the bad - the educational part is very interesting for any young adult out there, the stories of the slaves are very interesting for us to understand them and the world around them and Ilika is also so raw, so fresh, he isn't sure about himself or others, he must learn as he go, aswell, like the students. I'm looking forward to the day I'll be able to buy the rest of the series, unfortunatly it won't be happening anytime soon - even though I'm dying to buy more books, my list is long and I have to wait a few months.